What is Racial Literacy? Why is this so important for mindful educators to understand? Share your reflections on our Inner Strength Facebook page! Audio will be available for replay after the event. The webinar will run for approximately 45 minutes, including one or more short mindful awareness practices. 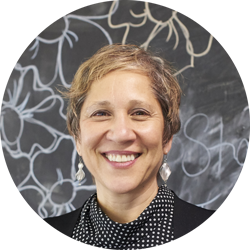 Each month in The Conscious Classroom Webinar, Amy Edelstein, founder of Inner Strength teen program, shares reflections and practices that are working for several thousand teens in classrooms in Philadelphia. You’ll learn tools and perspectives that will support you and the teens you teach, mentor, or parent. If you received this link from a friend, please sign up and receive the Conscious Classroom monthly webinar access details.